The Indian Railways recruitment wing or Railway Recruitment Board (RRB) will declare the Group D exam results shortly on its official website. Candidates are advised to keep an eye on the official website of RRB and check the steps to download the result given here. 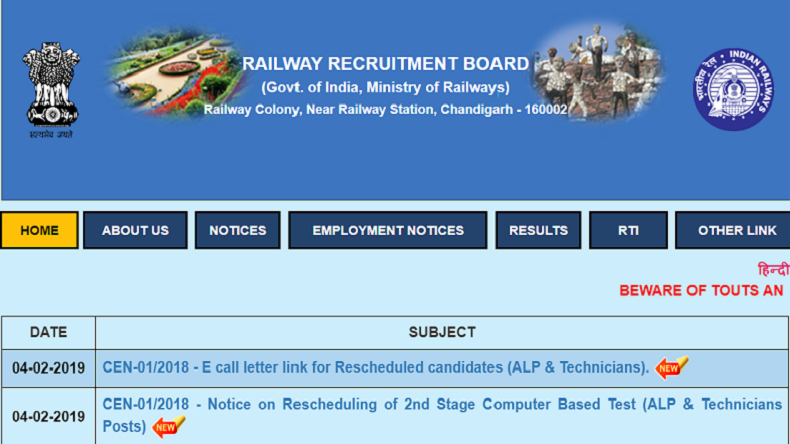 RRB Group D Result: The Railway Recruitment Board (RRB) is likely going to release the result of Group D Recruitment examination soon on its official website – rrbcdg.gov.in. According to a report in a leading daily, the result will be tentatively declared on or before February 20, 2019. Candidates who have appeared in the recruitment examination this year and are eagerly waiting for their respective results can check the details regarding the release of the results from the official website mentioned-above and also follow the steps to download the results given below after it is published on the official website. How to check the RRB Group D Exam Result?